A pro-democracy and Non-governmental organization – HUMAN RIGHTS WRITERS ASSOCIATION OF NIGERIA (HURIWA) has condemned the reported ban from travelling for the 2019 election by Igbo speaking Nigerians resident in the 19 Northern states as disclosed by a socio-cultural club – Igbo development association in Kaduna. HURIWA accused the socio-cultural club of displaying either crass ignorance of the constitutional tenets on fundamental freedoms including freedom of movement or the group may simply be playing the political game of some persons who are totally confused anarchists who pay no heed to the constitutionally guaranteed freedoms. In a media statement made against the backdrop of the story in circulation about a purported ban from travelling to the South East from the 19 Northern states for purposes of the 2019 polls, HURIWA said such a brazen disrespect to the provisions of the constitution is an affront to civilization and must be disregarded by all right thinking free citizens of Nigeria. HURIWA also reminded the authors of the illegal ban that their public notice amounted to a breach of the section 42 (1) of the constitution which outrightly prohibits discrimination since all other ethnic nationalities cannot come under such a blanket ban that is absolutely illegal and unconstitutional. Besides, HURIWA also cited section 40 and 41 which completely allows citizens of Nigeria the right to either belong to any association or not and the fundamental right to enjoy freedom of movement. HURIWA recalled that people of Igbo extraction in the 19 northern states have been reportedly banned from travelling to their states of origin to vote in next year’s general elections. HURIWA quoted the Kaduna based socio cultural association as threatening that any person who flouts the directive would be fined an undisclosed amount of money. Quoting media accounts, HURIWA recalled that the decision was reached following an extraordinary meeting of the Igbo Delegates Assembly (IDA) in Barnawa, Kaduna State. IDA, an administrative umbrella organization of Igbo resident in the northern states and Abuja, is responsible for members’ welfare. In attendance were executives, all Eze Igbos and chapter presidents in the 19 states. HURIWA however cautioned the group to refrain from imposing extra legal measures against citizens of the Federal Republic of Nigeria even if they may be registered members of the body just as the Rights group said it was inconceivable that in this 21st century a group could come up with such medieval body of rules which absolutely offends the clear provisions of the Nigerian constitution which permits freedom of movement to all Nigerians. 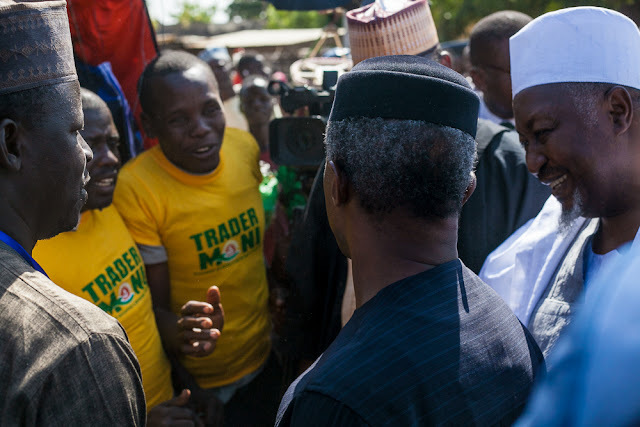 Relatedly, HURIWA has condemned the federal government for embarking on a nation-wide votes buying exercises for the ruling All Progressives Congress in the guise of disbursement of N10,000 to traders in a controversial and politically tainted programme tagged TraderMoni. “We condemn this daylight robbery of the consciences and votes of heavily impoverished Nigerians by this federal government which has dispersed vote buyers all across Nigeria to bribe would- be voters with cash award of N10,000 with a condition that each of the beneficiaries must cast his/her vote in 2019 for the APC’s presidential candidate. “Our members from all across the six geopolitical zones have been calling us to inform us that they have witnessed these scenes of open bribery of prospective voters by agents of the presidency from Abuja who are openly collecting relevant data of voters and extracting commitment to vote for APC before disbursing the paltry sum of N10,000 in the name of a so-called trader Moni concept which is now muddied in the dirty water of Nigeria’s politics”.